Description Apply high-pass, low-pass or band-pass frequency filters to an input volume. The Band-pass Filter performs high-, low-, or band-pass filtering on a volume based on a frequency range. The process uses a zero-phase Butterworth filter that passes a range of frequencies and rejects frequencies outside the range. Filters are defined using pass and stop frequencies, corresponding to the 95% and 5% amplitude points on the filter (see images below). A time/depth-varying windowing model can be specified to apply different filters to different time windows. Using a Volume Sculpting process to limit the filter to a window of interest. Exporting the result volume to dugio format (see Exporting a Volume to DUG I/O). 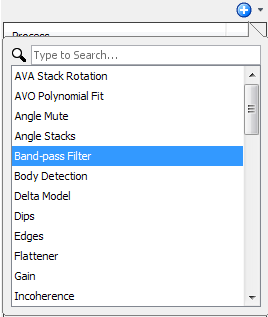 Double-click or search for Band-pass Filter. In the Details Panel, select the input volume. 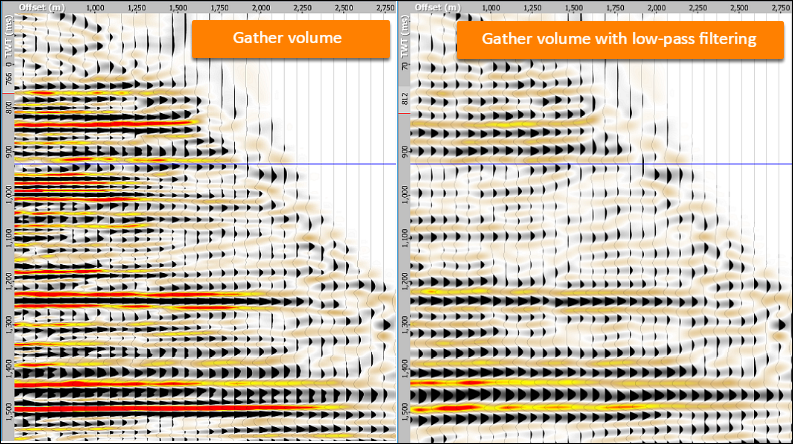 In this example, a gather volume is selected. 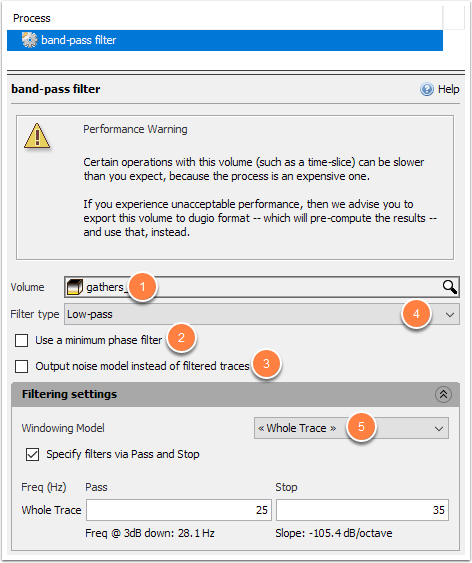 Select the Use a minimum phase filter checkbox to apply a minimum phase filter. 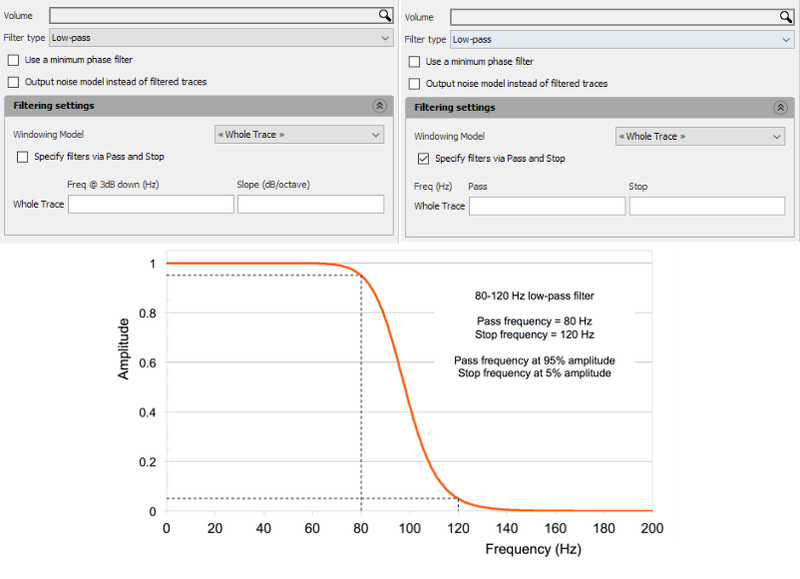 You can also choose to Output noise model instead of filtered traces check box. Select <<Whole Trace>> to apply one set of filter parameters to the whole trace. Select a Windowing Model to apply different parameters to each window. See Creating a Windowing Model for more details on window models. If a Windowing Model is used, pass and stop frequencies must be provided for each window. 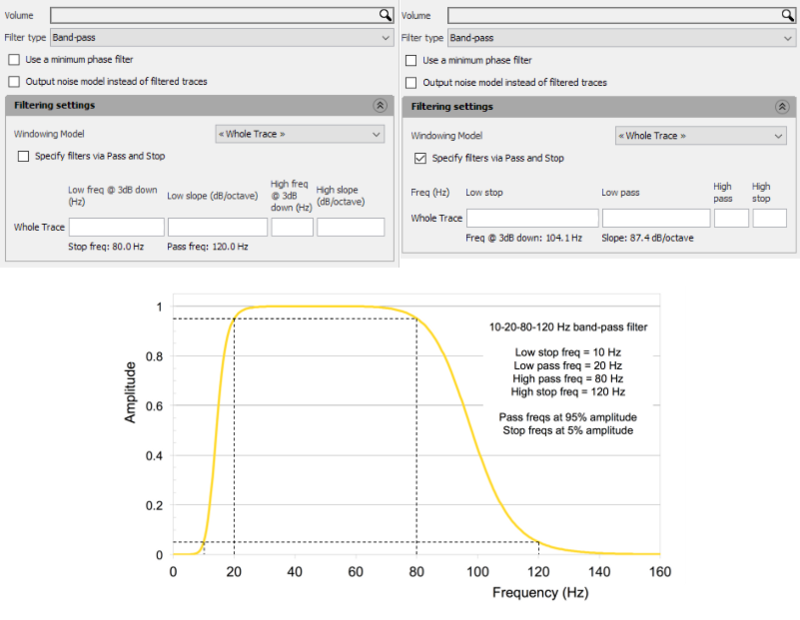 The band pass filter passes frequencies in a range between specified low and high values. Specify the low cut-off and high cut-off frequency values as needed. The high pass filter passes frequencies above a specified value. Specify the cut-off frequency values as needed. The low pass filter passes frequencies below a specified value. 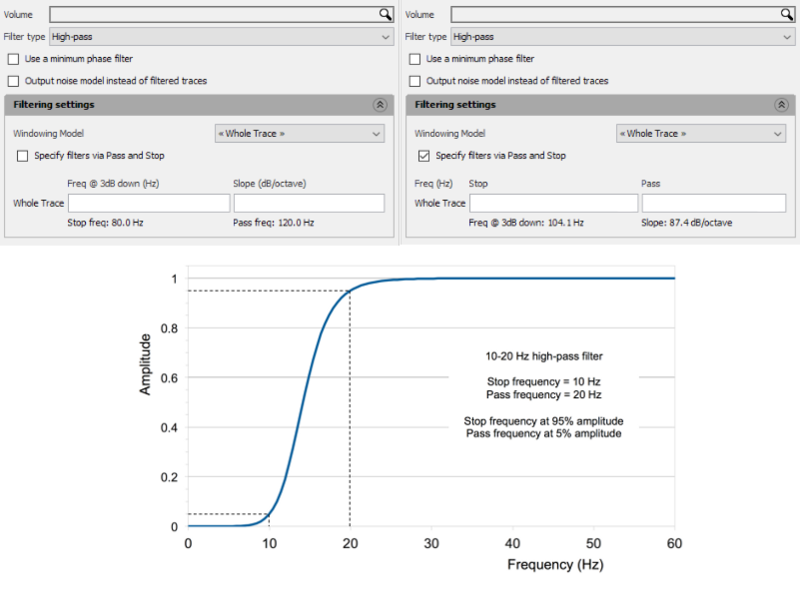 The following example show a gather volume before and after the low-pass filter is applied.